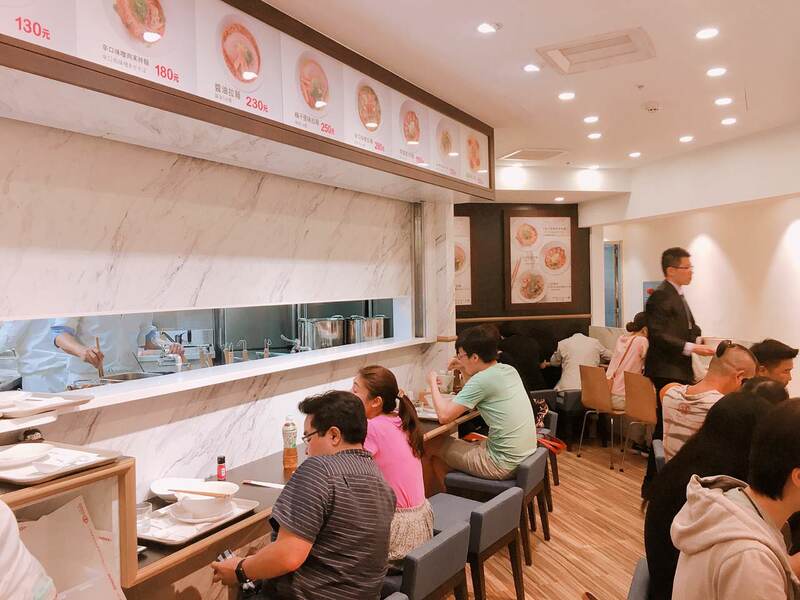 新開幕日本拉麵店又一家, 這次是位於台北市忠孝復興捷運 SOGO 美食街的MORIZUMI 森住康二日本拉麵, 由於梅子鹽味拉麵太特別, 成為拉麵愛好者的口袋收藏名單之一. 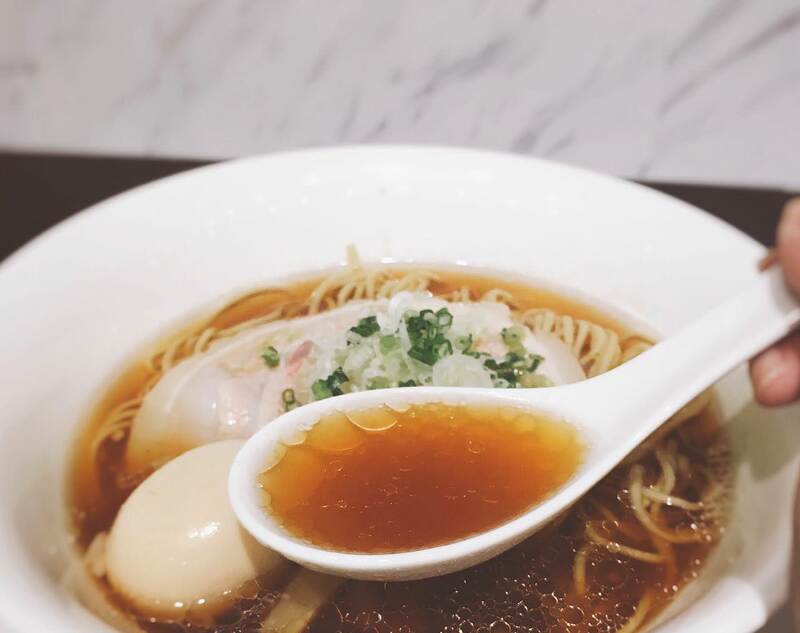 Another newly-opened ramen restaurant, which is MORIZUMI Ramen, is located at SOGO B1 Food court. 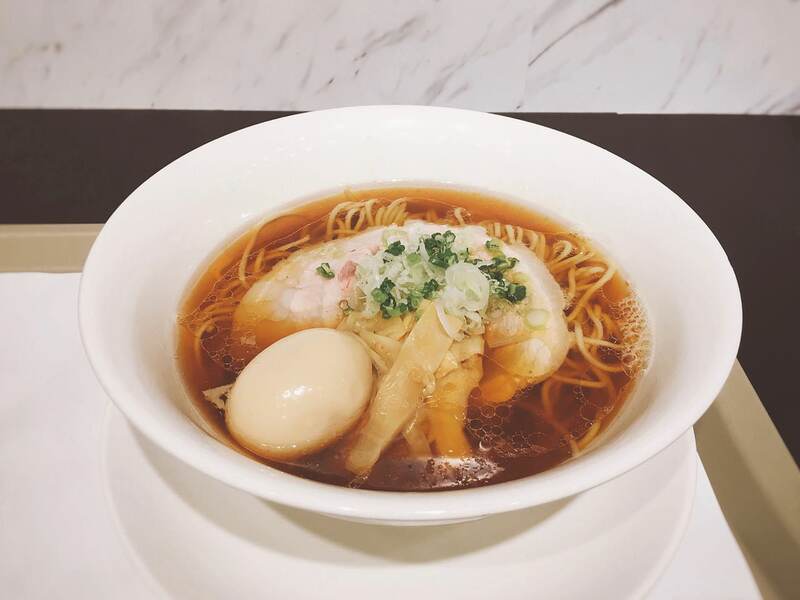 Its signature dish is Ramen with Plum & Salty flavor. 拉麵店位置位於舊SOGO的地下一樓, 之前的店面為“太龍軒”, 重新裝潢後, 目測座位多達16 ~ 18位, 採用先付錢拿號碼自取的方式, 跟台灣多數獨立拉麵店先點後付錢不一樣. After remodeling, the seats increase to 16~ 18 seats. 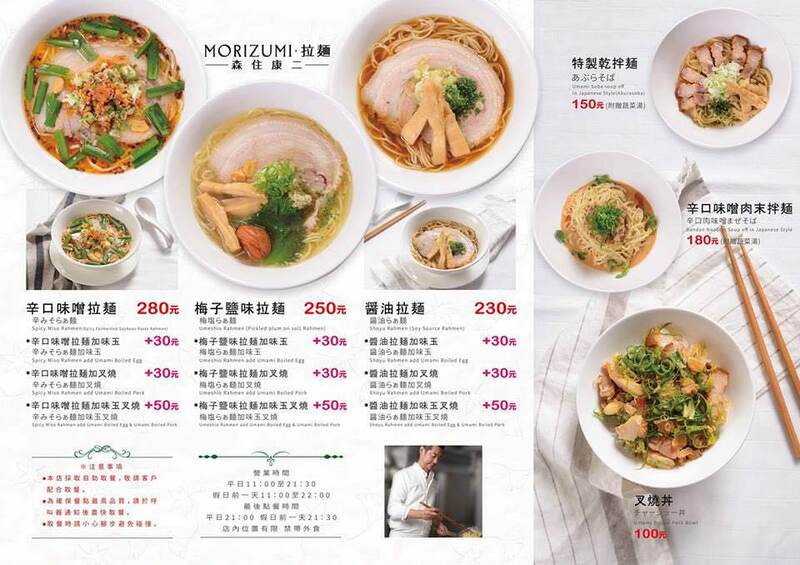 However, unlike most independent ramen restaurants in Taipei city, you would need to pay prior seating. 雖然名稱為“醬油拉麵”, 但其實是湯底除了用豬腳和雞骨熬煮外, 也有魚介(昆布和柴魚)元素. 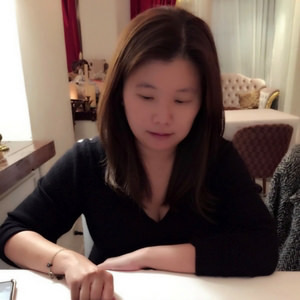 湯頭顏色如 TSUTA 蔦拉麵的醬油拉麵一樣清澈, 並不會像麵屋武藏同樣是雙湯頭般濃郁. Even though the name is “soy sauce broth”, the soup broth is stewed with pork knuckle, chicken, and fish. The broth color is similar with TSUTA Ramen with soy sauce flavor, which is a bit transparent. But it isn’t thick as MENYA MUSASHI Ramen. 看似色澤淺且清澈的湯頭, 第一口則是如預期中以醬油為主導, 但口感倒有點像薄鹽風味, 而不是濃郁派, 跟津輕拉麵同一派系的魚介風味則是處於男二配角的角色. 麵的部分無法選擇軟硬, 我吃的時候則是軟硬適中, 不錯的口感, 並不會照完相就會糾結在一起. First sip at the broth is obvious with soy sauce aroma instead of overwhelmed salty. The fish aroma flavor doesn’t dominate this particular ramen. But this broth is the best part of this dish. 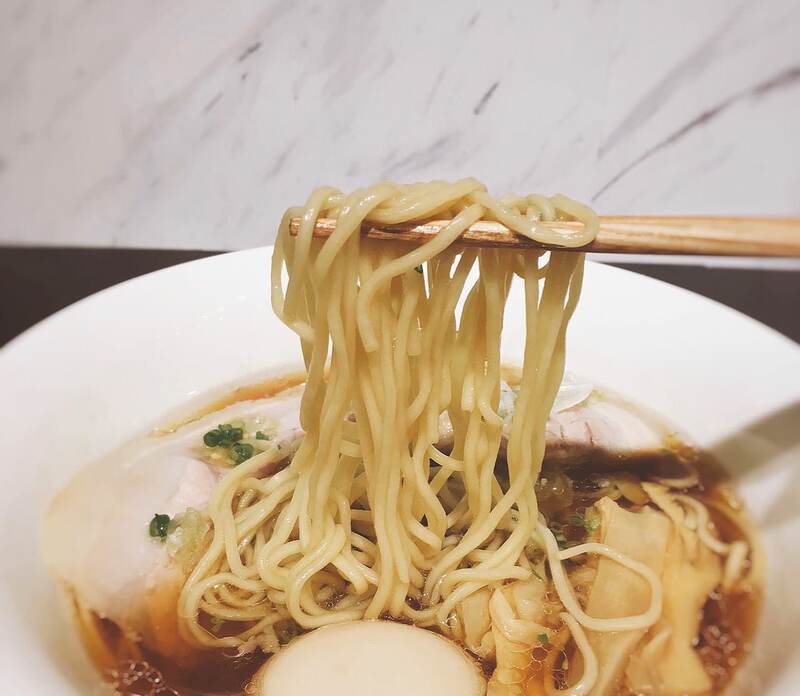 The ramen itself is cooked not to hard nor soft. It is quite pleasant pairing with the soup. 叉燒雖然跟豚骨一燈的叉燒一樣單薄, 但油脂與瘦肉形成完美的弧形, 重點是MORIZUMI 的叉燒瘦肉會吸收湯汁精華, 吃起來肉的風味並不是很明顯. 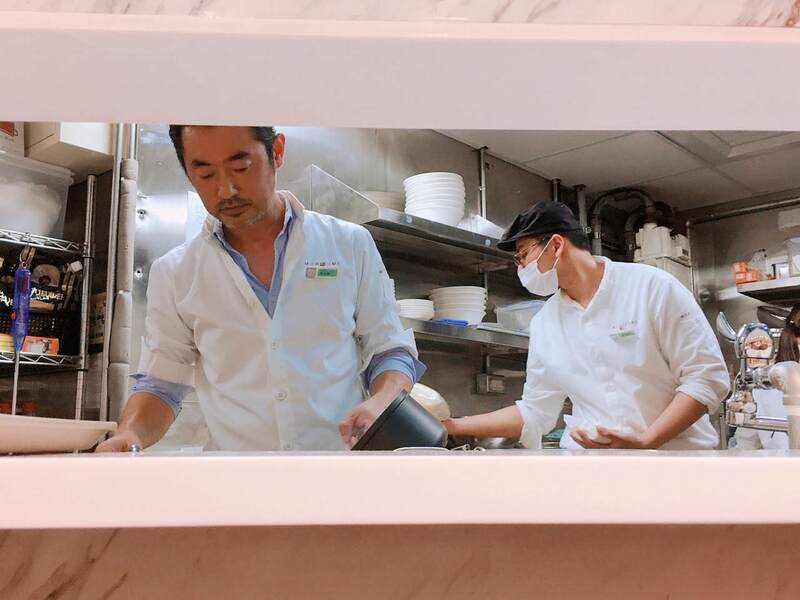 味玉的蛋黃跟其他拉麵店相比之下較為熟, 我是比較喜歡五之神製作所拉麵的半熟蛋. 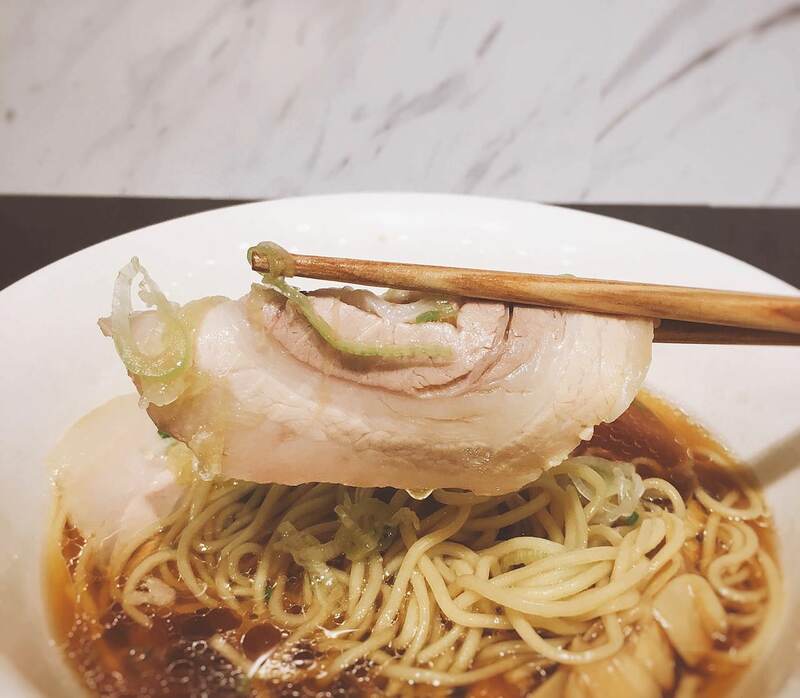 The thin sliced of pork looks familiar like the one at TONKOTSU ITTOU Ramen. 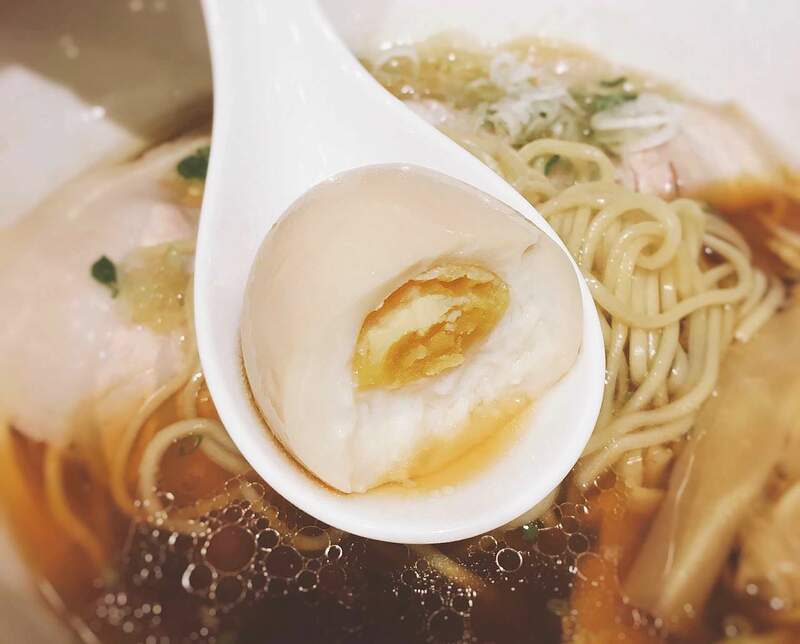 The taste is better since the thin part absorbs the broth well and with limited meaty aroma. As a fan for half-boiled egg, I prefer GONOKAMI RAMEN’s egg yolk. Generally speaking, this ramen store would win over adults and kids’ preference. However, if they don’t promote new broth, people might be tired of same ramen broth.